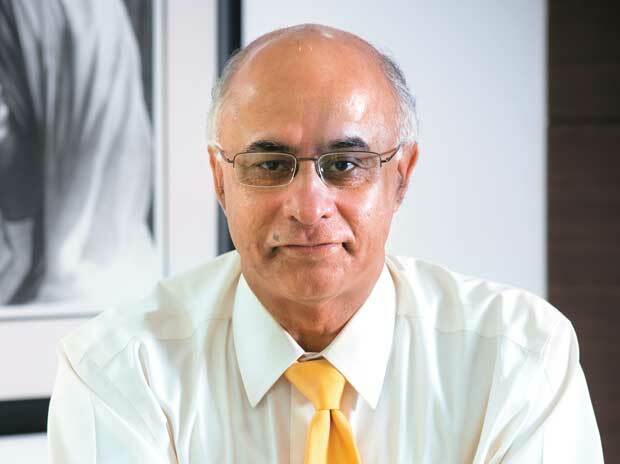 On Tuesday, co-founders of the company, Subroto Bagchi, Krishnakumar Natarjan and Rostow Ravanan univocally called the takeover bid 'a grave threat to the unique organisation collectively built over 20 years'. I have never written to you in the last three years. Hence it may be somewhat of a surprise for you. Of course, there are attendant, unusual circumstances; of an imminent threat to Mindtree’s independence that has made me to write to you today. Please be patient with me because this is going to be a long letter, the situation asks for it. But first, I must give you a context that goes well beyond Mindtree. In 1994, after setting up Wipro’s Global R&D in the Silicon Valley, I came back to India. Wipro’s R&D had the best people, working on mission critical applications for India because a lot of technology was banned for export to India at the time. Yet, Indian economy was opening up and global IT companies were suddenly coming into India, threatening the very existence of the same R&D that had worked on India’s space and defence needs. There was only one way to save it. Grow it beyond Indian shores. Make it world-class. This needed us to reposition it as a global "Lab- on-Hire". This was met with resistance from some great engineers who said it was a possible sell-out. This needed a dialogue. To facilitate it, I had invited a sage-like, Gandhian teacher, Dr KRS Murthy, who was at the time, Director of IIM Bangalore, one of the country’s most respected management schools. Dr Murthy arrived at an offsite where all the leaders of the R&D had assembled. Dr Murthy started with a simple question for everyone: could anyone in the room name the last four Japanese Prime Ministers? Not one hand went up. He said, that was precisely the point. He wasn’t expecting us to know. Then he explained, if on the other hand, he were to ask a child on the street to name 5 great Japanese companies, the chances are that most children would simply rattle the names in no time at all. Dr Murthy went on to explain the essence of the small but significant exercise: that a country is known for the abiding economic institutions it creates. Japanese companies are not "businesses", they are a part of Japan’s nation building process. They made the "Made in Japan" phrase synonymous with world-class quality. The engineers at Wipro needed to see their purpose in that perspective. India would be great only when we build great businesses out of India. India, for that matter, the world needs patriotic business leadership. Six years after that lesson in institution building, I got together with KK, Rostow, Partha and a few other outstanding founders; we said, together let us build something great. Let us create a memorable institution out of India that would stand for three things: great work that delivers outstanding value to our customers, create shared wealth and in the process, build a business with a human face. We quit our jobs, we pulled out the last penny from our savings in every form. We wrote down our story and took it to venture capitalists and raised a shoestring amount of $9.5 Million and with that money, Mindtree was born. But before we tasted success, we braced storms. 9/11 happened. Not just start-up companies, but it seemed, the world was coming to a halt. We held on. More turbulence came but we stayed steadfast. We protected the Tree. Over the ensuing years, it grew and soon, was taller than all of us! Along the way, outstanding people, Mindtree Minds came on board, not signing up for a job, but embracing a set of values and a unique culture. When the external turbulences settled down to a new normal, Mindtree emerged as a leader in the world of Internet technologies. In 2007, we took Mindtree public to an unprecedented success. Mindtree became the first Indian venture capital backed IT services company to go all the way from an idea to an IPO. But along the way, it was one of the rarest companies in the world that had given away 16.67% of its equity to its own people. The sheer value of that shared wealth, in today’s terms, is worth more than USD 320 million. Outside of the IT industry, in independent India, most businesses are not built on such things. But then, you also don’t build memorability based on such things. Mindtree’s memorability came from the astounding great work it delivered across the world. Today, among a handful of things that define the idea of India, is AADHAR, the largest platform for unique identity anywhere in the world. The software engine of that platform was built by Mindtree. Today, millions of airline passengers fly safe every day because of Mindtree. The greatest names in the hotels, manufacturing and the technology world look at Mindtree as part of their critical success factor. In all this, 20 years have gone by in what appears to be a blink. Mindtree has become a global brand. 20,000 Mindtree Minds are working relentlessly to get past a $1 billion milestone just as I speak to you today. But sadly, as we have remained focused on the institution building process, we have also drawn attention from people who really don’t care about all this. Suddenly, Mindtree has become an "attractive asset" that they must have. KK, Rostow, Partha and I were offered huge bags of money to give Mindtree away. We have respectfully said "no" to their overtures. We have said, we will continue to take care of the Tree that has given great fruits to everyone that ever came, the Tree has held nests for birds and given shade and food to animals, in times of scorching Sun and the tempest, people have taken shelter under its strong branches and now, the Tree can’t be sold off, its roots vivisected, its wood dismembered and carried off so that in its place a shopping mall may rise. Our polite refusal has been interpreted as foolish idealism of a bunch of lower middle-class folks. That, we are. My father was a small-time state government official, KK’s father was an eye doctor of the Indian Railways, Partha’s father was a traveling ticket collector and Rostow’s father was an accountant in a small company. The other founders came from similar humble background. Our parents had no money to give us, they only given us idealism. We have nothing else. How can we be ashamed of it? That Idealism has a simple tenet: do what is right and not what is convenient. Selling off the Tree is the convenient but not the right thing to do. Because the Mindtree is you, we can’t sell you off. Today, we can’t put your soul on a leash. But today, I cannot stay miles away, ensconced in another world to live the nightmare that the builders have arrived with the excavators, bulldozers, chainsaws, cranes and the impeccably drawn up blueprint to raze Mindtree. I have with great pain, resigned my official position as Chairman of Odisha Skill Development Authority. I want to be on the spot with you because I will not be able to explain to my Creator as to why his gardener wasn’t there when the Tree was sought to be destroyed. Today is March 19th, 2019. Please take on record, my date of re-joining. I come to you with unbelievable love and good wishes of everyone here in Odisha who understand where I need to be in this moment of difficulty, but they tell me, we shall prevail. Now I come to the end of my communication to you: it is about the very reason of our existence, our customers. In this hugely difficult time, you must make sure that our hearts don’t lose a beat when it comes to delivering the best to our customers. Remember, they came to us for our expertise but stayed with us for our culture. Please set aside all your emotions, your passion because of the unfolding events and remain steadfast. Stay focused on what must go out of the door today. Eyes on the screen, fingers on the keyboard and our customers on your mind. KK, Rostow, Partha and I will be the first line of defence on behalf of all Mindtree. I will be meeting each one of you at every Mindtree location in the coming days to answer any question you may have. Meanwhile, stay the course. Remember, you hold the Tree.